It’s getting hard to stay on top of all the various Hugo Boss related releases, these days. 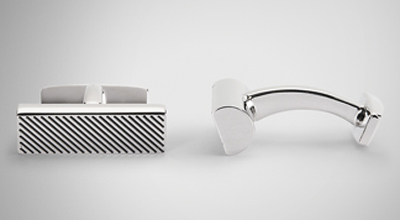 In trying to do so, we came across these stunning little cufflinks new to the HB catalogue. In a push through, peg design, these classy pieces have no moving parts. This greatly increases their durability and heirloom quality. Made from solid brass with silver palladium plating these no nonsense links are a bit of pizazz to bounce off that crisp white shirt. Available online. This entry was posted in Uncategorized and tagged Black, HB, Hugo Boss. Bookmark the permalink.